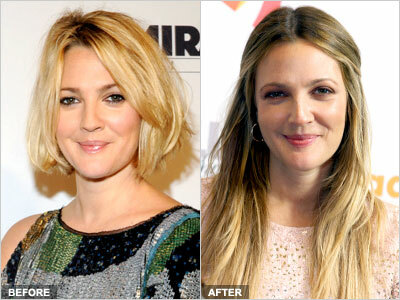 Our girl Drew Barrymore sure knows her way around a makeover. Her latest beauty transformation was when she traded in her long hairstyle for a cute and messy bob that we absolutely adored. It looks like Drew wasn’t as big of a fan of the cute crop as we were because she was recently spotted with lush and super-long locks that are clearly the work of hair extensions. While the soft and flowy length is pretty for spring, we have to say we liked the bob better. What do you think of Drew’s new ‘do?